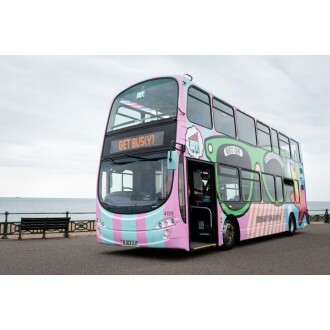 It was in 1884 that the Brighton, Hove & Preston United bus company was formed, a consequence of the amalgamation of a number of smaller horse bus companies and it soon became the main transport operator, the forerunner to today’s Go Ahead Group owned Brighton & Hove Bus and Coach Company. Bus No. 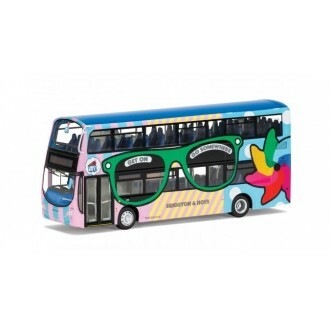 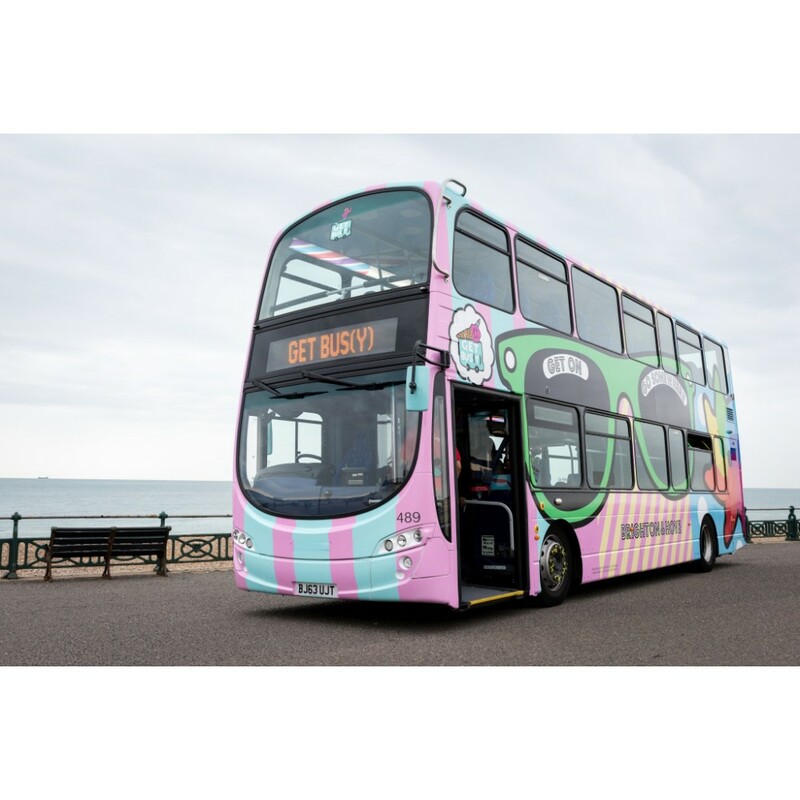 489 was launched on July 24, 2015 and is a tribute to Brighton’s famous beach and fun-packed seafront, with a livery consisting of a giant ice-cream, massive sunglasses and a huge seagull’s head, on a background of deckchair stripes, beach-hut colours and deco polka dots.